Have you been looking for a Bitcoin gambling script? If so, you are on the right page to end your search. 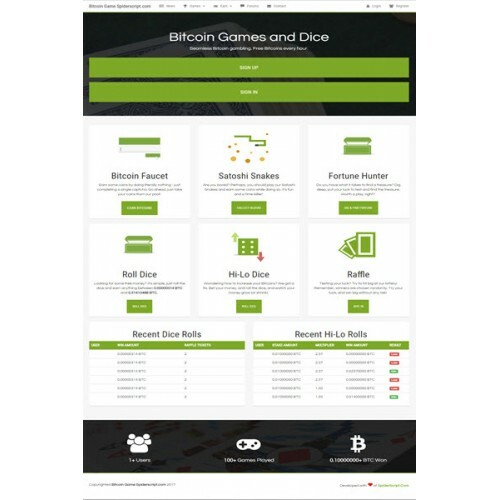 Our Bitcoin Gambling Script comes with provably-fair dices, multiple interactive games, a Bitcoin faucet and user interaction options including forums and a live chat for your users. Bitcoin Gambling Script is safe and reliable, with a provably fair algorithm for masses. The script is based on a strong and high performing framework, the same used at our other scripts; this makes code easy to edit. Expect reliable support and bug-less code to drive your next website to heights. The script's highly optimized for faster execution, uses clean and secure code, along with a decent admin-panel for management of day-to-day affairs of your website. The script is fully featured and easy to use. 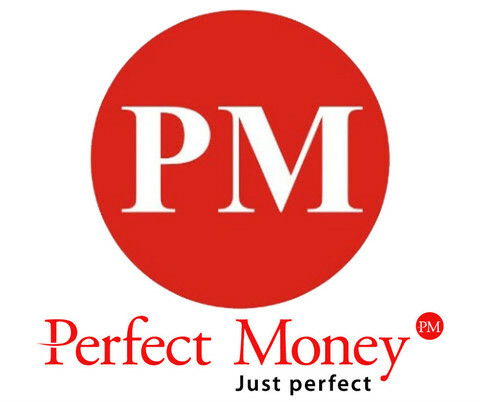 The script further contains instant payouts (payouts right when user clicks Withdraw button), and mass-payouts (auto-pay everyone with one click). The script contains one of the strongest anti-bot and multiple account system in the industry. That's true, we take multiple measures to stop bots and multiple account users. Our Bitcoin gambling script is vested with bullet-proof security, and uses CoinPayments API for payments. The script also contains a referral system to help your faucet grow beyond borders easily, and Satoshi Snakes to help you to generate your impressions and earn more ad-revenue. The script is also built on Bootstrap, so expecting a brilliant UI won't be a mistake. The script also comes with great features to promote user activity and engagment. The script contains a chat-box so that your users can communicate effectively, generating more impressions and interaction, and user engagement. The script also contains a Contact form so that your users can stay in contact with you. You can also use the in-built forum system for mass public interaction. Forums further allow you to interact with your users in an effective way, and generate more ad impressions to increase your earnings. You can easily maintain the site with our fully-featured admin panel which contains ability to change settings, manage accounts, perform withdrawals and other necessary functions. Bitcoin Gambling script is easy to use and stable. Expecting high-performance wouldn't be a mistake. Who prefers gambling without provably fair algorithm? No one. It's provably fair, and safe. No hacks, no bots. Script's source is easy to edit, and goes easy on your eyes. No poorly developed code. Let your users deposit and withdraw instantly with integrated CoinPayments API. Increase your activity and revenues with our in-built faucet. It's well proven, and safe from bots. We promise. Let your users spend their boring time with your Satoshi Snakes game. Pay them for each block collected, build your site's activity. Let your users roll dice and let your users win random amounts - this builds activity and trust. Provably fair! Let your users bet, and test their luck. This is all provably fair! No trouble for you! Let your users test their luck! Set raffle contests and accumulate huge amounts of deposits to your contest! Sounds cool, right? Your users can build automatic bots to bet at the games. We've a decent API for your users. Give your users a voice! Let them interact at chatting room and forums! It's well trusted, hugely used and is considered one of the best scripts in the industry. Webmasters have noticed a decline of 90% in bot activity at their sites after switching to our script. Password: userdemo Password: userdemo If you can not login with our userdemo, ..